10 In. 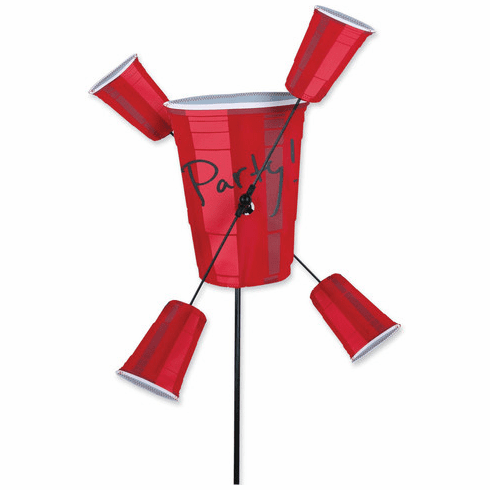 Whirligig - Party Cups Premier's WhirliGigs capture all the fun of this traditional American wind decoration. Compared to metal or wooden devices, the durable SunTex(TM) fabric wings spin in lower breezes. A host of humorous themes will liven up any yard or garden. Large size, big movement and ease of assembly are the hallmarks of the Premier WhirliGig.